Product code: 877 Categories: Sold Items, Sold earrings. Every now and again, a piece of jewellery comes by that makes you just say “Wow!” and these certainly do that. 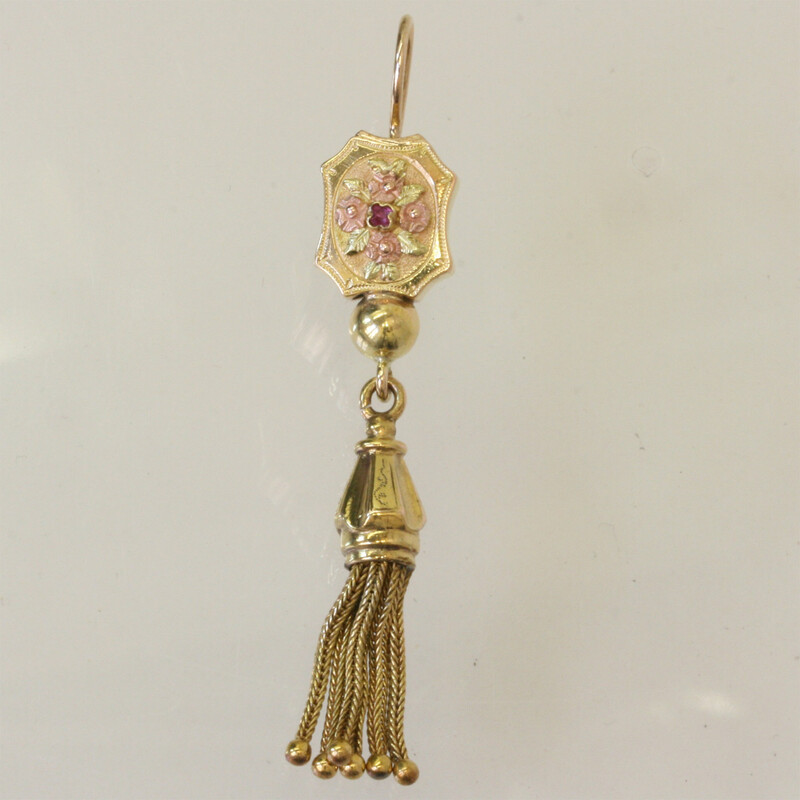 A magnificent pair of late Victorian era tassle drop earrings, with the most sensational work on the top. 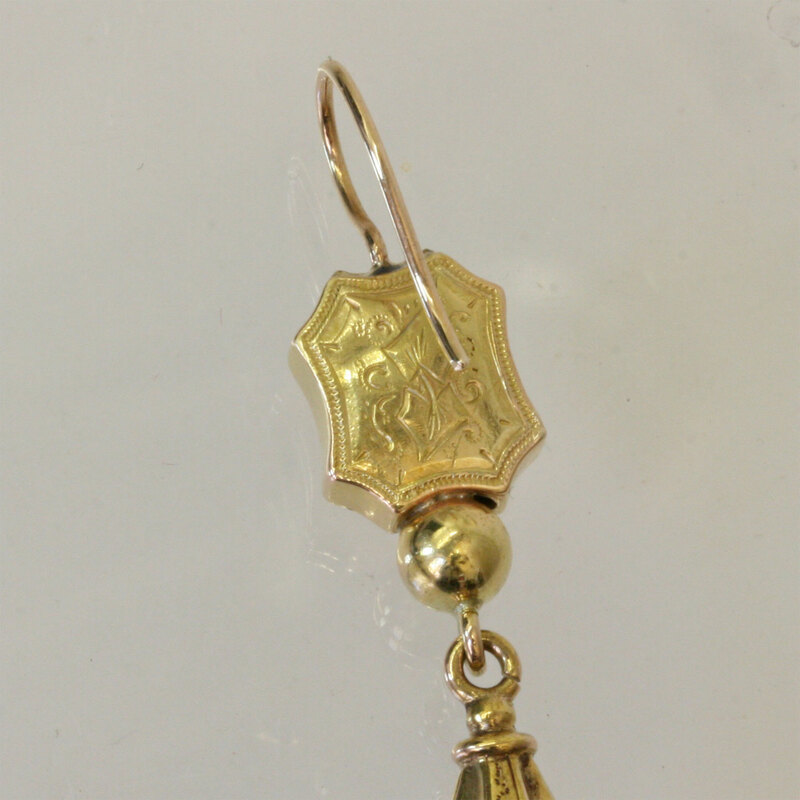 The earrings measure 6cm from the very top to the bottom including the shepherd hook fitting, or 5.1cm not including the hooks. At the top, the yellow gold is set with a ruby with highlights of rose and green gold. One of the tassles has a small bit of damage at the back, however it is not easily seen and considering they are well over 100 years old, they are still magnificent. These earrings sit beautiful on the ear, and any woman would be pleased to wear them.